i love World Cup Logos! 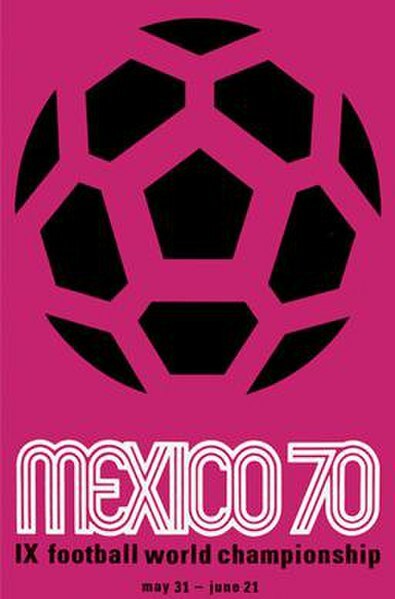 Mexico 1970, such a good World Cup, Scotland decided not to qualify……. Espana 1982, i was there..Pedro orange keyring but all i can remember is seeing Paolo Rossi!! Argentina 1978….were england at that one? and they had a cool mascot! West Germany 1974…basic clean cut…if it was a person it would be a blond with a flat top! oh and there were some cool mascots! 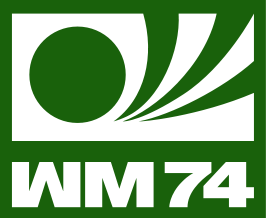 Two boys wearing Germany kits, with the letters WM (Weltmeisterschaft, World Cup) and number 74. An orange, a typical fruit in Spain, wearing the kit of the host’s national team. Its name comes from naranja, Spanish for orange, and the diminutive suffix “-ito”. A jalapeño pepper, characteristic of Mexican cuisine, with a moustache and wearing a sombrero. Its name comes from picante, Spanish for spicy peppers and sauces…i remember getting one of these in a kinder egg! A stick figure player with a football head and an Italian tricolore body. Its name is an Italian greeting.